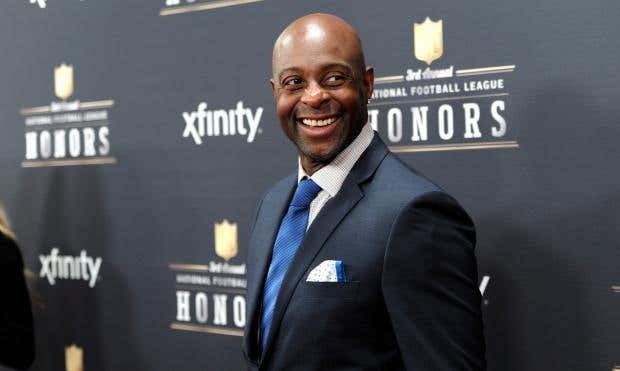 Jerry Rice has criticised Colin Kaepernick’s ongoing protest of the national anthem in his effort to raise awareness to racial injustice in America, saying he cannot support anyone who disrespects the national flag. The dispute pits two of the biggest names in American football against each other in a deepening controversy over race, sparked by Kaepernick’s refusal to stand for the national anthem before a preseason game. Rice, the NFL Hall of Famer who won three Super Bowl rings with the San Francisco 49ers in the 1980s, responded to Kaepernick, the team’s current quarterback, saying that while he agreed with Kaepernick’s reasoning, he did not agree with his actions. The post set social media on fire, considering the phrase “all lives matter” is frequently used by opponents of Black Lives Matter, the blanket term for the nationwide movement against police violence against black Americans. Supporters argue that “black lives (should) matter”, is a necessary response to the police’s apparent indifference to the lives of African-Americans. They commonly cite statistics showing that although more white people are killed by police in America, more black people are killed by law enforcement officials when adjusting for their population size. Deray Mckesson, one leader of the movement, spoke for many when he tweeted in response to Rice’s comments. Khaled Beydoun, a law professor at the University of Detroit Mercy, also chimed in. “Jerry Rice made more stupid drops in this one tweet than he did his in his entire NFL career,” Beydoun tweeted. Meanwhile, another NFL legend and civil rights activist Jim Brown said he supports Kaepernick’s protest. Philadelphia Eagles rookie linebacker Myke Tavarres said on Monday that he would join Kaepernick’s protest, but flip-flopped his position after his agent convinced him to find another way to protest. As the NFL preseason nears its end, the controversy should continue generating headlines as Kaepernick claims that he will continue his protest until people of colour are no longer oppressed in the country.